SOS Home Systems has been installing a variety of home theater and audio systems for Amesbury MA residents for decades. Whether you are in need of full home audio, a wireless home theater system, SONOS Audio, or an Elan home system, SOS has the experience to get the job done. Our trained technicians are capable of customizing a home entertainment system that fits seamlessly into your home or office. SOS has been proudly installing a full range of audio/video systems and wireless entertainment systems in Amesbury, MA homes and businesses for years. Whether you plan on installing the system in a newly constructed home, or a historic New England home, SOS has the capabilities to get the job done right. And if you want to control all of your entertainment options from one interface such as a smartphone, tablet, or other device, then look no further then SONOS and Elan home systems. SOS Home Systems is capable of installing all sorts of home theater entertainment systems for those living in Amesbury MA. We can help you convert your living room, basement, bedroom, or other space into a fully equipped visual entertainment center, or simply a modest area to sit, relax, and watch TV. Whether you are looking to install HDTV, surround sound, projection screens, subwoofers, wireless speakers, wireless home theater systems, etc., we have the products and tools to make the installation seamless, as well as provide you with detailed instructions and training on how your new system works. Whether you plan to install a fully automated whole home audio system, or simply need to upgrade your audio speakers, SOS is here to help as both a supplier and installer. Some of the brands we install for Amesbury MA residents include: SONOS, Elan, Audio ReQuest, Polk Audio, HomeLogic, iPort, Marantz, Parasound, and Speakercraft. Our whole home wireless audio systems can give you the ability to manage all of your music, speakers, etc., from a single device such as a smartphone, tablet, computer, handheld device, or wall mount. 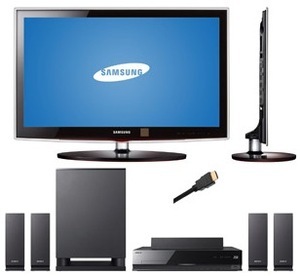 The system can also be synced to your TV to fully automate your home entertainment. Installing Audio Video systems for Amesbury MA residents means the combination and synchronization of both your home theater/visual entertainment systems, with your home audio systems. SOS provides Audio Video installations for residential and commercial properties all around Merrimac Valley and North Shore MA. 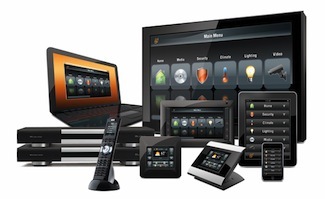 Product systems such as ELAN allows you to manage all of your AV systems and more from a single wireless interface. You can turn on your living room TV, bathroom radio, play different music playlists in your office and dining room, all from a single device! Elan Home Systems is becoming one of the most popular ways to fully automate and control all of your home entertainment. From a one-room home theater installation, to a 10,000 square foot home with integrated audio/video, lighting, climate, and security, ELAN offers control solutions that are reliable, scalable, easy to integrate, and easy to use, via a consistent, intuitive interface. As a certified dealer and installer of Elan video and Elan audio systems, SOS has been providing installation services to Amesbury MA homes and businesses on a regular basis. The other beauty of Elan is that although they carry their own signature brands, they also integrate with nearly all consumer electronics, TV and Audio brands, and is optimized to stream the leading Cloud and digital sources. By providing numerous SONOS installations for Amesbury MA home owners and others living across the North Shore, we are able to provide you with a quick install and training on how to best utilize your new SONOS wireless system.